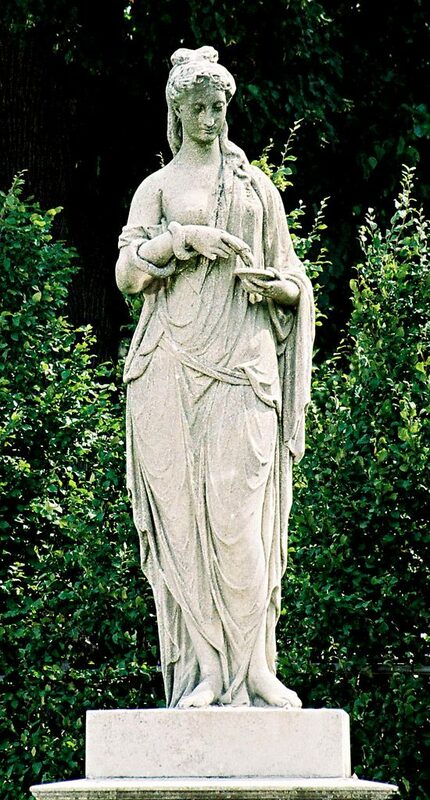 There was once a dreaded Goddess in Ancient Rome known as Febris who caused illness, disease, and pestilence. It is from Febris where we get the English word fever. A word that is generally used to describe a symptom of various illnesses and diseases often characterized by increased body temperature, thirst, shivering, headache, and in severe instances, delirium. The legend of Febris was said to center around the haunting marshes of Camagna in Southern Italy where like clockwork every year, the people would become deathly ill with a mysterious disease. She was so feared by the Romans that the suffering population had created a cult to Febris. They went so far as to wear protective amulets and build her temples in order to worship her to win her favor. There was once a temple to Febris that was built on the Palatine Mount. Pliny the Elder and the Roman historian Valerius Maximus had written about Goddess with fevers, disease, and pestilence. Simboli continues; “According to Ammianus Marcellinus, people flocked to these sanctuaries. Here they brought the amulets which had been suspended on the bodies of the fever-stricken patients and in which they no longer believed, since the miraculous goddess was more powerful and efficacious than they. Yet there were times when the great Febris could not be moved by prayer and supplication to heal the sick. Please keep in mind the fact in mind that she was a Goddess who made people ill from “marshes.” Millions of people have died from what was once called “marsh fever”, and is more commonly known as malaria. Also, manly illnesses and dieback/disease events have occurred as a result of fungal pathogens in marshes.